Google brought the Nest hardware team into its own hardware division last year, leading most of us to believe that the future of Nest was finally bright and that the combined hardware skills of the two would mean good things. The first effort of the combination of hardware teams could be a Nest Hub Max. You’ve never heard of the Nest Hub Max because Google hasn’t announced it yet and mistakenly posted details about it to the Google Store today. 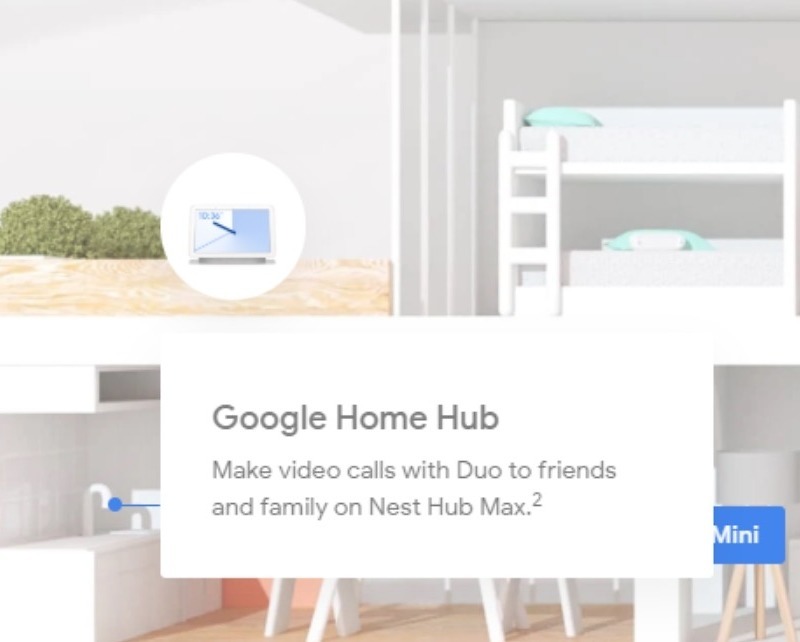 The crew at Android Police noticed that the Connected Home page on the Google Store kept referencing the Nest Hub Max as they browsed around its diagram. While the page itself showed off images of the Google Home Hub and Nest doorbell, the points of interest talked about this new unannounced product. The images say that the Nest Hub Max will have a built-in Nest Cam for Duo calls, a 10-inch HD screen, and stereo speakers. For those thinking this is simple references to the Home Hub, well, you know nothing. The Google Home Hub has a 7-inch screen, no camera, and no stereo speakers. We don’t pricing or a release date, but hey, if it’s being referenced, it could be launching soon.